Mark D. asks: When did we start clapping to show that we like something? Clapping is the near-ubiquitous way we show our appreciation of something, particularly when we’re in large groups. But have you ever wondered why slapping our hands together has come to be so closely associated with approval and where the practise originated from? To begin with, the idea of clapping to show appreciation is a learned behavior. 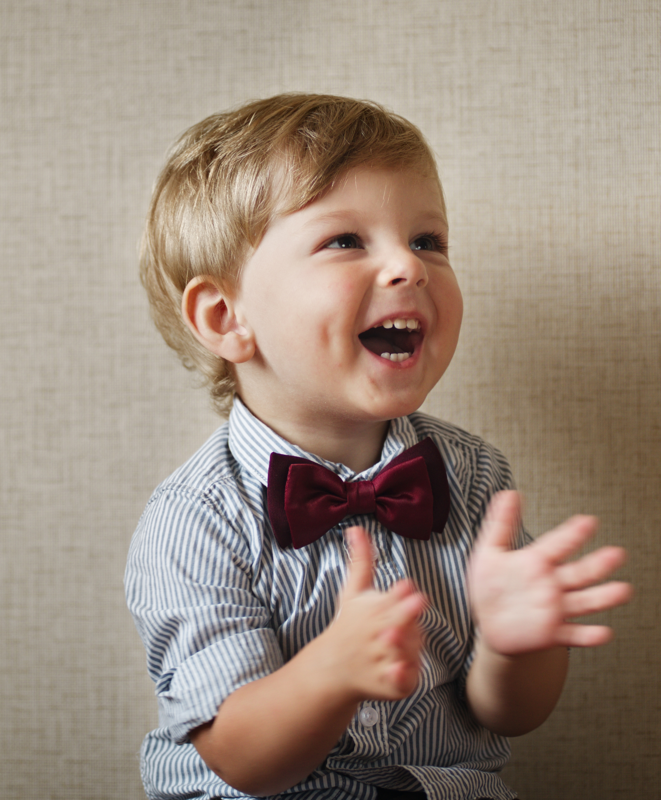 Babies generally start clapping before they are one year old, but without encouragement from parents, this tends to be a behavior that isn’t often used, and certainly not to show appreciation- simply that the baby discovers it can make a noise with its hands and for a time becomes fascinated by this. From here, parents usually begin (whether consciously or not) teaching them to use this motion and sound to show enthusiasm. This does not carry over to other primates. Our closest living relatives in the animal kingdom have been known to clap in some cases, but this is a behavior used to signify fear or attract attention to themselves- usually because they’ve found food- not to display approval. That said, the earliest documented references to the specific act of applauding to signify approval (where the dating is certain) can be traced back as far as the Roman Republic. These first explicit references occurred in the plays of famed 3rd Century BC Roman playwright, Plautus, who often included a direction in his plays asking for one of the actors to step forward after the final speech to say “Valete et plaudite!”, Latin for “Goodbye and applause”- the word plaudite roughly meaning “to strike”, in reference to the act of striking one’s hands together. Roman audiences weren’t just limited to clapping though, and they could variously demonstrate their approval by clicking their fingers together, waving their togas around or, if they were attending a gladiatorial match, wave their thumbs around in the air (but not in the way you probably think, see: The Truth About Roman Gladiators and the Thumbs Up). Much like the Greeks before them, Roman audiences were especially noted for their negative reactions, with things like jeering and the throwing of objects being amazingly common. Again, the idea of a “passive audience” at any performance is an incredibly recent phenomenon, with the switch beginning in earnest only a little over a century ago. Historically, crowds have always been encouraged to express their enthusiasm (or disdain), and even sometimes take part in the performance in some way. In fact, for much of the history of theatre, watching what members of the audience would get up to was half the point of going to a show. In any event, since first being established as the norm by the Ancient Romans (at least as far as well documented history goes), applause as a sign of approval has been a remarkably enduring phenomenon across countless human cultures, remaining a fixture at plays, speeches and concerts up through today, with some unusual exceptions. For example, applauding during an orchestra performance today is considered to be incredibly rude, contrasting starkly with the time in which many of these pieces were written when applauding during a concert was not only encouraged, but could actively influence the structure of the performance. Composers such as Beethoven and Mozart were known to immediately repeat pieces of a movement if the audience reaction was positive enough and took great pleasure in hearing the audience applaud during technically difficult or impressive sections- something that would be considered taboo at modern performances. Individual virtuoso performers of the past were also well known for playing to the audience in a manner not too dissimilar to pop stars today, the most notable of these probably being 19th century pianist, Franz Liszt. Though an audience at a modern piano recital would almost certainly be deathly silent while the pianist played, the audience at a Liszt concert would scream, clap and whoop throughout his performance. Liszt would in turn milk their reactions by playing one-handed, improvising sections on the fly and whipping his long, luxurious hair back and forth; he was also known to end his performances by throwing his gloves and handkerchiefs to the crowd. The practise of applauding during such classical performances was largely killed off in the late 19th century, around the same time the rise of the passive audience in many types of performances began to become a thing. With regards to these classical venues, many composers began creating works without breaks between movements to discourage applause. Composer Richard Wagner is noted as being one of the individuals who contributed to stopping spontaneous applause when he appealed to a crowd directly during the first performance of Parsifal in 1882 to not cheer until the end. From that day on, every person who tried to applaud during this opera would be hissed and glared at by the crowd until they stopped. When Did People Start Shaving Various Parts of Our Bodies? Visual applause: Where did it come from? What a Eurocentric theory. Mesopotamia, the Indus Valley and Egypt all predate Greece by over a thousand years (possibly more) and account for nearly every accomplishment so conveniently attributed to the Greek. These civilizations (including Greece) were all part of the same larger intellectual zone and have nothing to do with “Europe”. So because the article doesn’t specifically mention these groups, that automatically means they’ve been excluded? Does every tribe nation and tongue need to be mentioned in order to avoid being labeled as [whatever] centric? The first reference he makes is the Bible. For those uninformed, the Bible is not of European origin. Please do not allow your ideologically- driven mind-narrowing worldview to influence how you perceive everything.